For as long as there have been people to criticize those in power for their misdeeds, there have been those with power who wish to silence their critics. In the last three weeks, the story of Jamal Khashoggi thoroughly demonstrates this. 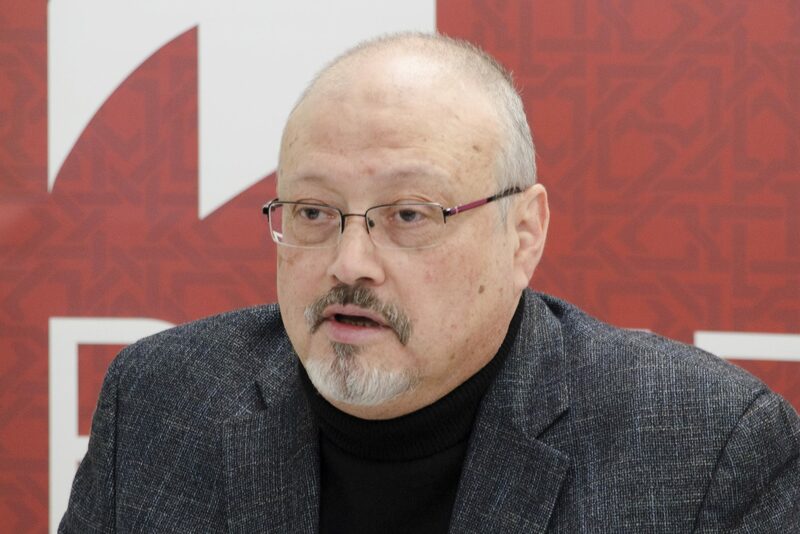 Jamal Khashoggi was a Saudi Arabian-born journalist who has been critical of Mohammad Bin Salman (MBS), the crown prince of Saudi Arabia. MBS is next in line to the throne of the kingdom of Saudi Arabia. According to an article from the BBC, Khashoggi was also close with the Saudi royal family for decades and served as an advisor before committing a self-imposed exile last year. On Oct. 2, Khashoggi went into the Saudi Arabian consulate in Istanbul to get paperwork confirming he was divorcing his ex-wife so he could marry his Turkish fiancée. He was followed by 15 Saudi agents with ties to the Saudi government and security services, one being an autopsy expert, into the consulate where he was killed and dismembered with a bone saw according to a New York Times article from Oct. 9. Saudi Arabian representatives allegedly denied that Khashoggi had died for over two weeks and apparently noted that he even left the consulate. On Saturday, it was finally admitted that Khashoggi was in fact killed in the consulate but that it was the result of a fistfight. They did not mention what happened to his body. Trump has shown time and again that he only cares about something if it is a benefit to himself, if someone praises him or if he is being heavily criticized. Even a psychology undergrad student like myself can see he shows the signs of a malignant narcissist. Trump earlier last week didn’t seem to give much thought to the slain journalist. At first, he was even questioning if the US should be involved because Khashoggi wasn’t an American citizen. Then, on Thursday, he nonchalantly noted that ‘it certainly looks’ like Khashoggi was dead. Any comment made by Trump this past weekend to the tune of caring about slain reporters is as credible as the report given by the Saudis. In other words: garbage. A reporter was murdered in a consulate for questioning the actions of the future leader of his home country. The explanation from Saudi Arabia, and the response from the US president, were underwhelming and shameful. They both show how far some will go to silence those who speak out to power, even if it means bringing a bone saw to a fistfight.